Baroque composer Bernardo Pasquini died on this day in Rome in 1710. He is remembered as an important composer for the harpsichord and for his musical scores for operas. Along with his fellow composers Alessandro Scarlatti and Arcangelo Corelli, Pasquini was a member of the Arcadian Academy (Accademia degli Arcadi) which was set up in Rome by one of his patrons, Queen Christina of Sweden. Pasquini enjoyed Queen Christina’s protection while he was living in Rome and produced several operas in her honour. These were staged in Rome initially and then replayed in theatres all over Italy. Queen Christina had abdicated from the throne of Sweden in 1654, converted to Roman Catholicism and moved to live in Rome. While living in the Palazzo Farnese, she opened up her home for members of the Arcadian Academy to enjoy music, theatre, literature and languages with her. She became a cultural leader and protector of many Baroque artists, composers and musicians. The Baroque period, which influenced sculpture, painting and architecture, as well as literature, dance, theatre and music, began in Rome around 1600. 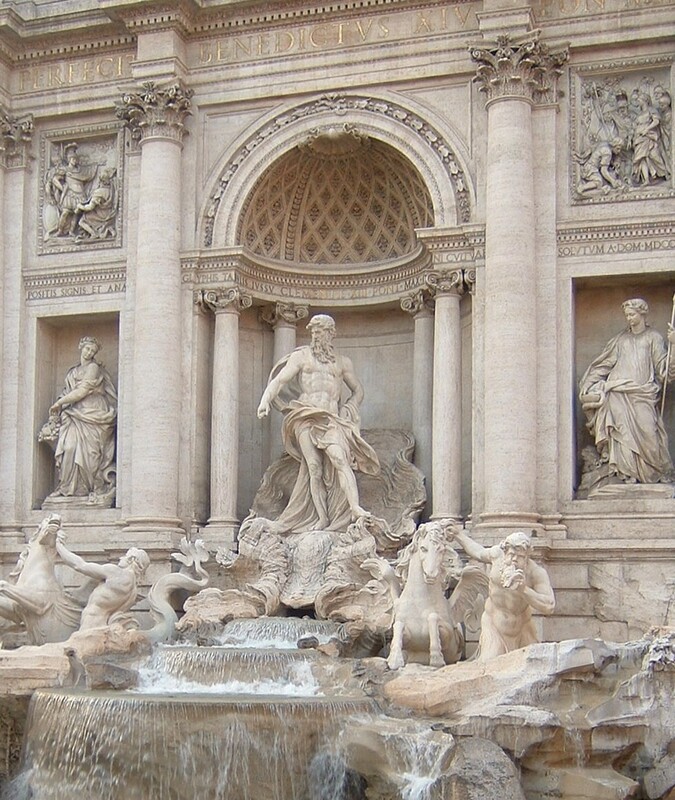 Rome's wealth of Baroque architecture includes the Trevi Fountain, built in 1762. It is the largest fountain in the style in the city. Pasquini was born at Massa in Val di Nievole in Tuscany in 1637. He was a pupil of Marcantonio Cesti and Loreto Vittori before he went to live in Ferrara, where he was a church organist, and then moved on to Rome while he was still a young man. He entered the service of Prince Borghese and, as a renowned virtuoso keyboard player, soon became the organist at the Basilica of Santa Maria Maggiore. Pasquini was buried in the church of San Lorenzo in Lucina, which is in Piazza San Lorenzo, just off Via del Corso in Rome. You can see Pasquini’s tomb in San Lorenzo in Lucina which bears a carved portrait of him. Three years after Pasquini’s death, his nephew Felice Bernardo Ricordati and one of his pupils, Bernardo Gaffi, commissioned Pietro Francesco Papaleo to sculpt a portrait of the composer in Carrara marble. Palazzo Farnese in Piazza Farnese in the Campo De’ Fiori area of Rome is now being used as the French Embassy. Queen Christina was allowed to lodge in this important renaissance building by Pope Alexander VII while it was standing empty following the death of Cardinal Odoardo Farnese.